A government-sponsored panel, assembled by NASA and other federal agencies, was assembled on February 10, 2015 to discuss the implications of using geoengin,,eering as a way to fight climate change and greenhouse gas emissions. Henry Fountain, writing in The New York Times summarizes as follows: geoengineering falls into two categories. One method captures and stores CO2 that has already been emitted. The other involves reflecting the sun’s rays back into the atmosphere so that less heat would enter the Earth. The first option has minimal risks, however it would be expensive and take time to see any noticeable effects. There would also be a need for more research in order to find a way to successfully store the CO2. The second option, solar radiation management, is more controversial. This involves dispersing sulfates into the atmosphere to reflect the sun’s rays away from Earth. This method is inexpensive and the effects are seen quickly, however it would have to be repeated many times. It would also do nothing to solve global problems related to CO2 like Ocean Acidification. Opponents argue that pursuing geoengineering would create a moral hazard because it would distract from the need to reduce greenhouse emissions. However, the panel believes that we have reached a point where the benefits of geoengineering outweigh the risks. They still don’t think that anything drastic needs to happen today, however it would be prudent to research geoengenerring so that if there is a crisis, a solution could be provided. Some say that researching for geoengineering could have unintentional consequences. For example, research could set society on a full deployment of the technologies. However, the National Academy of Sciences panel believes that this process could pose no immediate risks if it is developed properly. The panel said that the best way to mitigate the effects of a warming planet to reduce the emissions of CO2 and other greenhouse gases. Saying this, the panel still believes that geeoengernnring could have positive effects on this warming. Fountain, Henry. 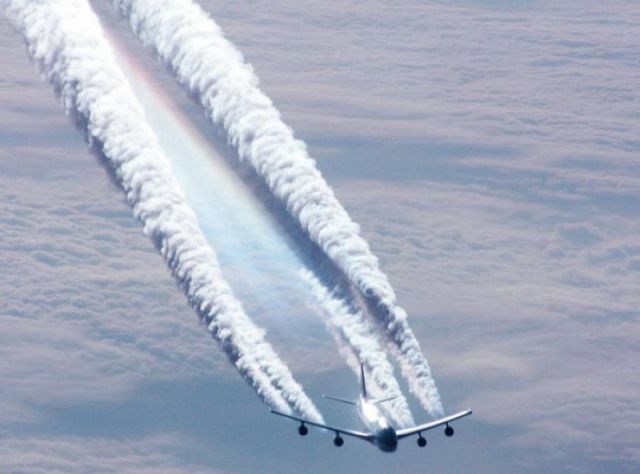 “Panel Urges Research on Geoengineering as a Tool Against Climate Change.” The New York Times. The New York Times, 10 Feb. 2015. Web. 14 Feb. 2015. This entry was posted in Geoengineering, Jackson Cooney and tagged Henry Fountain, How to Change the World, methods to reduce global warming by Emil Morhardt. Bookmark the permalink.